You can touch them, They can touch you. It is not easy to guess what they will do next. 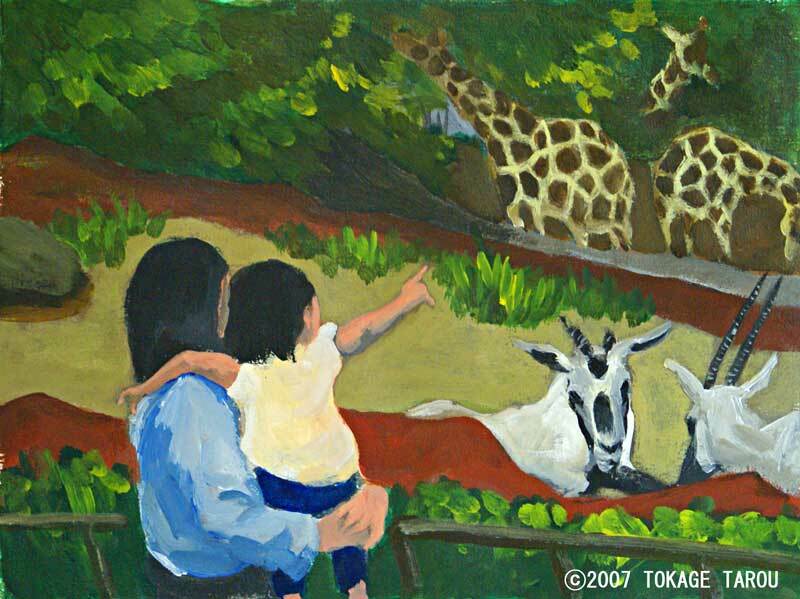 It is fun to see the animals spontaneously come closer to interact with people. Is it making you nervous? Be brave! They like to touch you　because they like you. The Gibbons suddenly started chasing after a fly. Using their long arms, they swung easily from branch to branch. Their forest is nothing but a big Monkey Bar. Their quick and graceful movements made all the children jump with excitement. A Zoo Keepers work is never done! Hey Kanga, please move out of the way. You're not helping me to clean up. 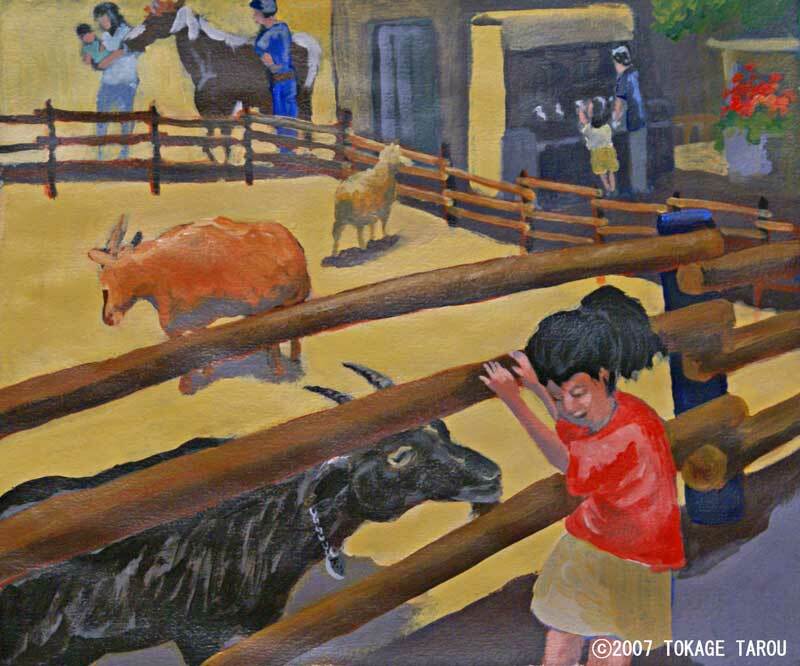 At many zoos, I notice that the Zoo Keepers are cleaning the corrals. That must be hard work. 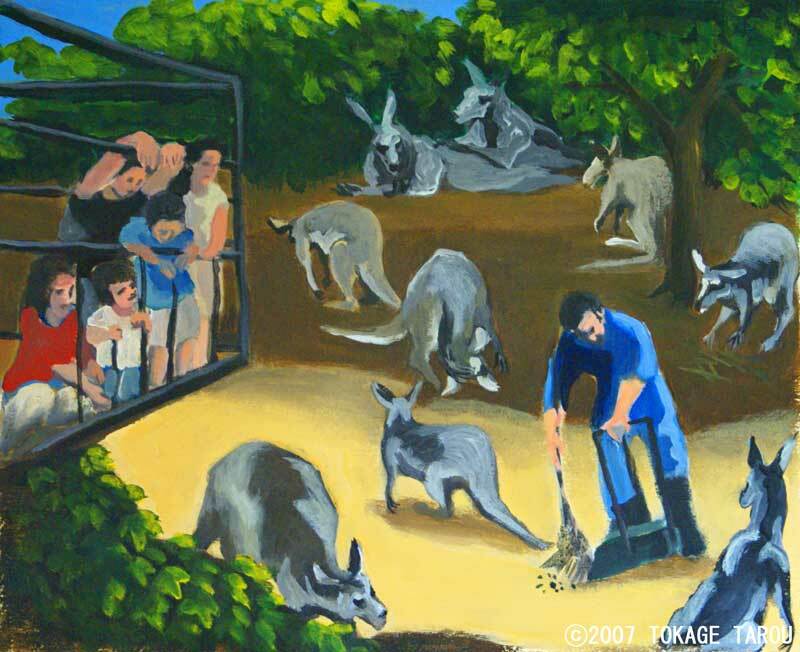 But thanks to them, the Kangaroos playgrounds are always clean. 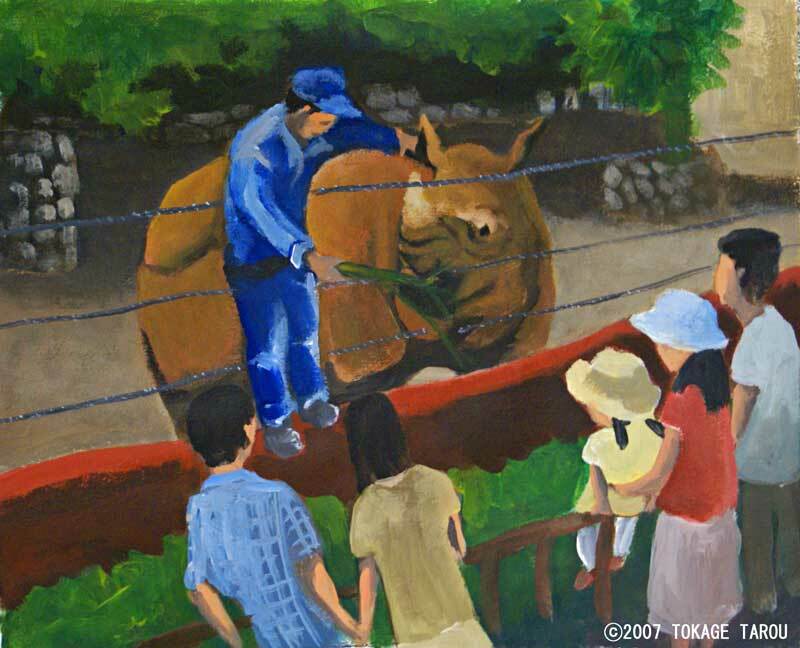 They should be Rhinoceros zoo-mates, but grumpy Mr. Kintaro only causes fights when he comes to visit her. Today Miss Gobon came closer to us to show her big smile. The skin of an Indian Rhinoceros looks as hard as armour, but the Zoo Keeper shows us that actually, some parts are very tender and soft. Oh, please come out, Mr. Unicorn! Perhaps the Arabian Oryx is the model of the legendary illusive Unicorn. The Oryx has a beautiful creamy white coloured fur coat, like the Unicorn and notice how she hides shyly behind the rocks. It's not easy to spot the Unicorn in the wild....er, I mean the Arabian Oryx. Are you guys imitating the Koala Bears? Watch out! Be careful, please. 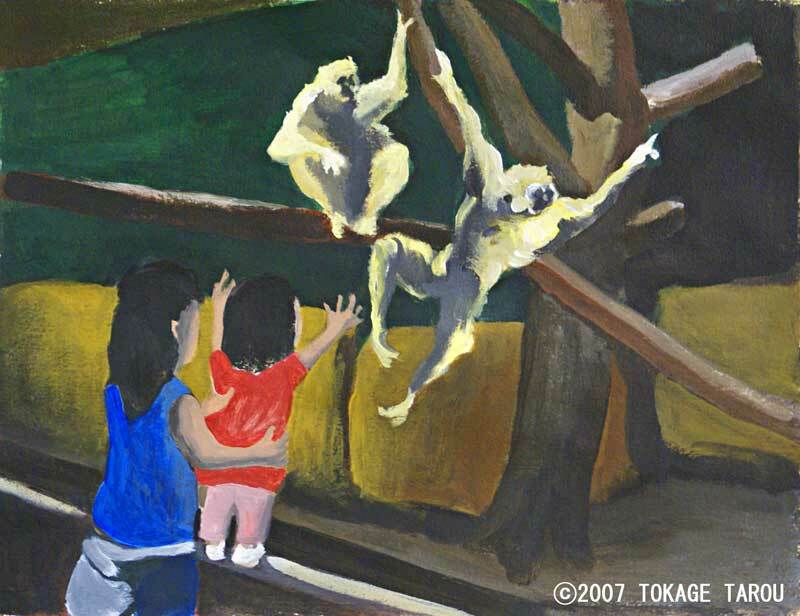 While Mom is busy taking pictures of the Koala Bears, the kids are climbing up onto the rail to get a closer look. 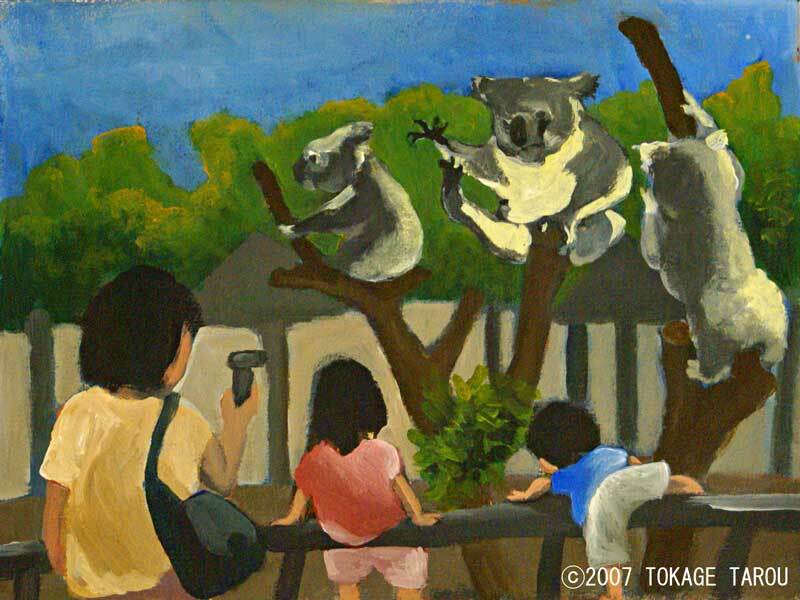 You know, the Koala Bears have claws that help them climb trees. You don't have claws, so you have to stay down here.